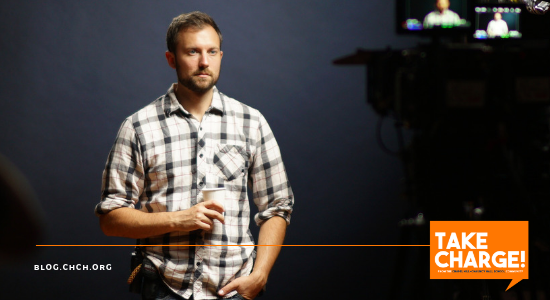 Cinematographer and documentarian Daniel Hedges '02 has moved from the CH-CH campus to the sets of TV and film projects. Hedges continues to draw on the creativity and inspiration he gained at CH-CH as he tells stories that reach across the globe. After graduating from the University of Vermont in 2007 with a degree in Film & Television Studies, Dan moved to New York City to pursue production. With much excitement, he landed a gig at Guiding Light - which at the time was the longest running soap opera in television history. Dan was primarily hired to record exclusive behind-the-scenes content for the program’s website, where he shot on location twice a week. Over time, his role on set evolved and before he knew it he was a Camera Operator, editing the famous “Previously on Guiding Light,” introductions. During his time at Guiding Light, Dan learned a great deal about the role of production on a hit television show, from producing, shooting, and editing. In 2009, CBS cancelled the iconic soap opera, but the program’s parent company, Procter & Gamble, kept Dan on staff to shoot branded web content for numerous products. Three years later, Dan took a leap of faith and relocated to North Carolina to work freelance. That same year, he went on vacation to Namibia with his father. On their way back, they had a layover in South Africa, where Dan struck up a conversation with the man sitting next to him on the plane, named Taylor Sharp. It turned out that Sharp also lived in North Carolina and explained to Hedges he was returning from a volunteer trip, “Hoops Africa”, in Zimbabwe, an organization that teaches kids in rural neighborhoods life skills through Basketball. By the end of the 14 hour flight, both agreed a documentary needed to be made, showcasing the powerful and life changing work this organization does. Two years later, Dan and Taylor were able to go back to Zimbabwe. They spent two weeks talking to the leaders of Hoops For Hope in order to grasp a full understanding of how it helps these children from certain neighborhoods through playing basketball. The organization also is able to provide these often overlooked communities with resources, education, and awareness. 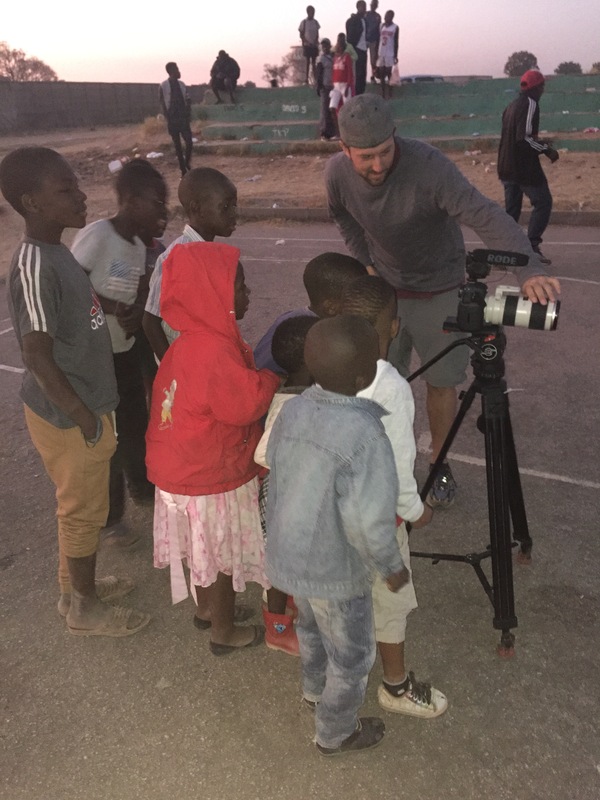 Dan also decided to incorporate the theme of basketball being on the rise in Africa into the documentary. The NBA was having their first game on African soil in August of 2012, with the teams consisting of NBA players vs. South African players. Hedges felt the two storylines went hand in hand. From start to finish, Hoops Africa was a four year project that showcases Dan’s creative abilities, something he learned to proudly express during his time at Chapel Hill-Chauncy Hall. Dan took full advantage of his time at Chapel Hill-Chauncy Hall School. The support he received from his teachers allowed Hedges to embrace his creative side. A Needham native, Dan attended CH-CH his junior and senior year. At the beginning, Dan admits he was reluctant, “I was switching schools, but it didn't take long for me to realize that CH-CH was the place I needed to be.” Hedges looks back fondly on his time at CH-CH, “It was so important that I went to CH-CH,” noting the school helped him develop as a person and allowed him to discover a career path. Dan spent most of his free time drawing, painting, and beginning to explore photography. “CH-CH helped me embrace my creativity more than other schools would have,” said Hedges. There wasn’t a single teacher that didn’t support his creative endeavors, but one stood out above the rest. “Mr.  Gebhardt was the visual arts teacher, and he remains a very influential person in my life to this day." “I didn’t know what I wanted to do when I graduated CH-CH, but now looking back, I know that without my experiences I might have not found this career path,” Dan emphasized that at the time, he didn't quite realize the connection. Now more than ever, he stresses that the time spent at CH-CH will impacted his life in many ways. 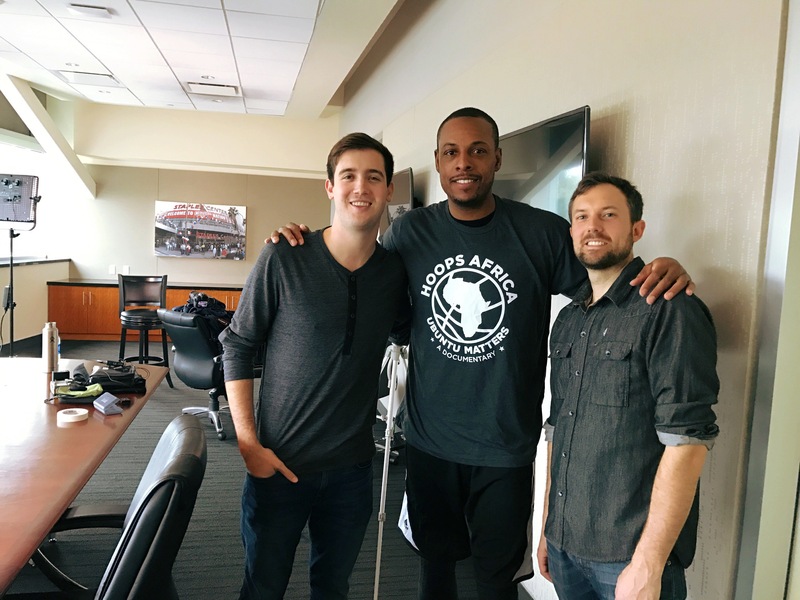 Currently, Dan is living in the Sacramento area and focusing on a “Ubuntu” tour for his documentary, Hoops Africa, setting up screenings across the country. Ubuntu is a philosophy from the Southern African region meaning “humanity”; the belief in a universal bond of sharing that connects all humanity. His hometown of Needham will host a screening in early January. He’s also discussing future collaboration possibilities with Taylor, specifically along the theme of utilizing sports for social change - a scene to which they’re both very passionate. To learn more about Hoops Africa: Ubuntu Matters, visit the documentary website www.hoopsafricafilm.com. When not promoting his documentary, Dan focuses on future projects down the road in his freelance career. Since embarking on the journey of freelance cinematography, Dan has had heavy focus on sports-related content, tourism promotion, and storytelling. He creates content that inspires human connection, empathy, and communication. Dan has been credited in producing docu-series, digital campaigns, award shows, tourism commercials, and countless reality shows. 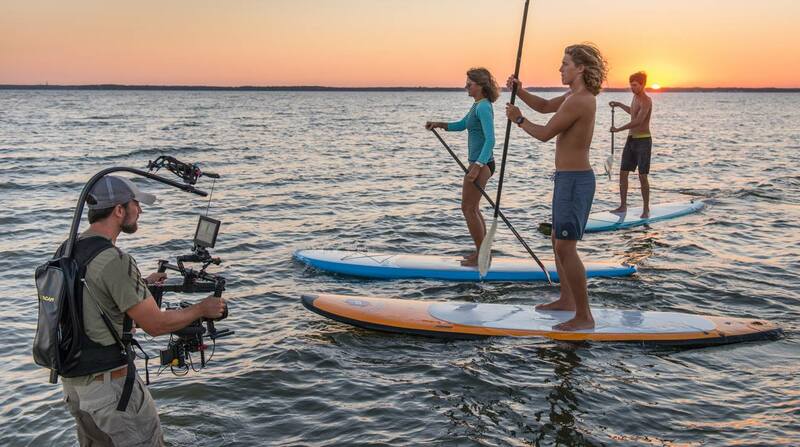 This latest tourism campaign airs in a couple months, so keep your eyes out! Dan’s advice to CH-CH students? Dan Hedges’ full list of commercial and documentary credits, as well as his photography are available on his website, www.danielhedges.com and you can stay up to date with him on Instagram. 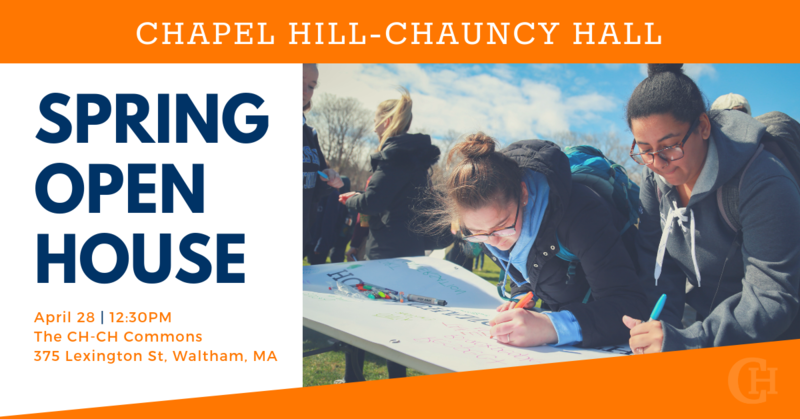 Chapel Hill-Chauncy Hall is a New England coeducational day and boarding school located in Waltham, MA. With 190 years of history, the school remains dedicated to teaching the way students learn.